Football fans are furious after plans to sell Wembley Stadium to the American owner of an NFL team for more than £500million surfaced today. The iconic site - where England games have been played since 1920s - could be handed to Shahid Khan, the billionaire owner of American football 'franchise' the Jacksonville Jaguars. The Football Association says the huge windfall could be pumped into grassroots football, but fans are uneasy at the thought of the national stadium being privately owned and potentially renamed. Critics questioned how much the new owner might charge England to play at the ground, while others told of their fears the stadium could end up being be named after US firms like Budweiser or Taco Bell. Plans for the sale have also sparked a scramble to reclaim the £40million taxpayers' money pumped into the development of the stadium and the £120million National Lottery funding. It is feared the English national football team may end up having to play home matches at other stadiums around the country while the NFL season is underway. Khan, who is worth an estimated £5.2billion, is prepared to pay more than £500m in cash and allow the FA to keep its hospitality business Club Wembley that is valued at a further £300m. 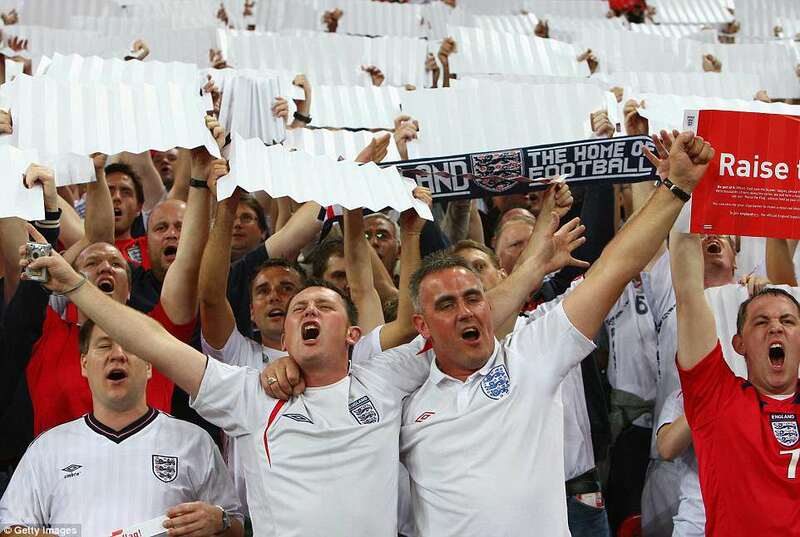 The FA is said to have around £100m in debt which it was due to pay off in 2024. Local MP and Shadow International Trade Secretary Barry Gardiner added: 'Let's not see our National Football Stadium traded away in a backroom deal. 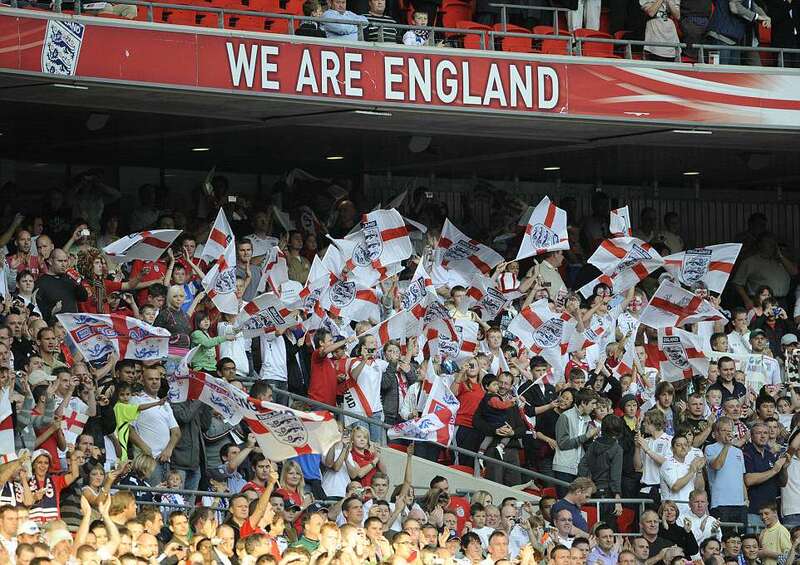 Wembley Stadium is not just at the heart of our borough of Brent, it's at the heart of Britain.' The Government and Sport England, the Lottery-funded body who pumped £120million into the stadium's construction, are both demanding high-level talks to find out how the deal will impact the future of English football. WHO PAID FOR WEMBLEY STADIUM? Wembley Stadium opened in 2007 at a cost of £757m after work began to demolish the old ground in 2002. Funding for the new stadium came from the FA which secured huge loans for the project as well as from Lottery-funded Sport England which paid £120m; the Department for Digital, Culture, Media and Sport which put up £20m with a further £21m coming from the London Development Agency. 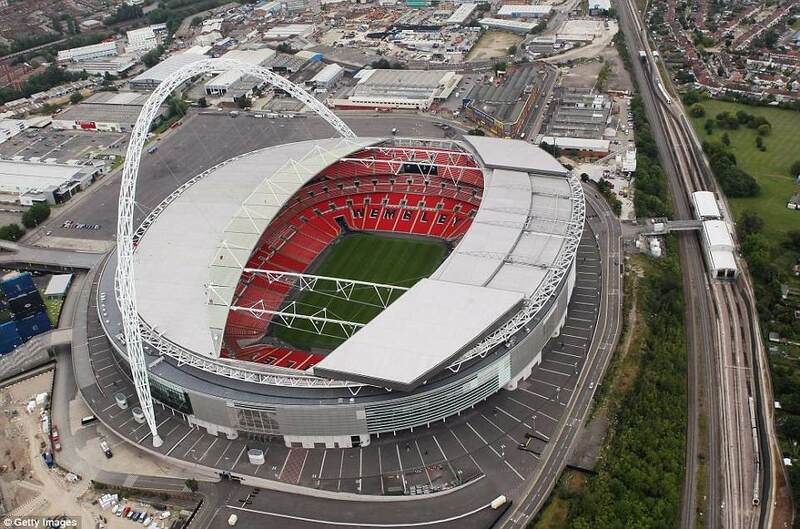 In January the FA said it would finally finish paying for Wembley by the end of 2024, 17 years after it opened. A debt of £142m reportedly remained. James Price, Campaign Manager at the TaxPayers' Alliance, questioned why so much public money had been ploughed into the scheme just over a decade ago. But Mr Khan has insisted Wembley would remain home to the England national team. Mr Khan has tabled a formal offer that was being discussed for the first time by the FA board this morning. 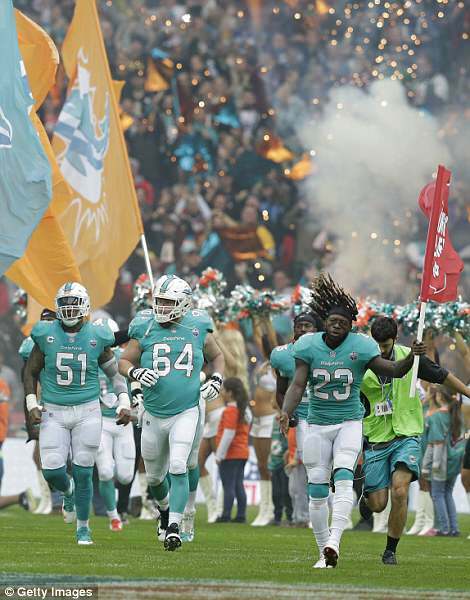 If he is successful, it would open the door to the first NFL franchise outside the United States. 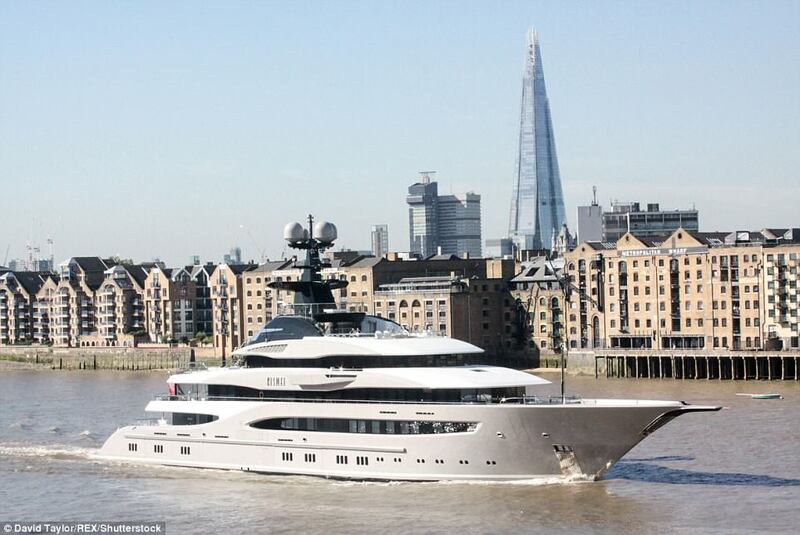 The billionaire is keen to bring a permanent team to British shores, in what would be an unprecedented move. Sources have also told Sportsmail that the FA hierarchy believe it is an offer that is simply too good to turn down given the cash the governing body will be able to pump back into the game; with the full £500million invested at grass roots level - particularly pitches. In January the FA said they would finally finish paying for Wembley by the end of 2024, 17 years after the new 90,000-seater stadium was opened at a cost of £757m. A debt of £142m reportedly remained. But Khan's offer would clear the debt and release the FA from the significant financial burden of running and eventually modernising the stadium, although how much of the Pakistan-born American's money has to be paid to the other stakeholders remains to be seen. While Sport England paid £120m towards the cost of rebuilding Wembley, the Department for Digital, Culture, Media and Sport put up £20m with a further £21m coming from the London Development Agency. It is understood that officials at the Department for Digital, Culture, Media and Sport are now examining contracts from when the stadium was approved to see whether they can recoup any of the £20million they put into the project to build the stadium. Officials from the department are expected to hold discussions with the FA about the possible sale of the stadium, with attention given to how the money made from any sale deal will be spent. The FA will demand certain conditions as part of any deal. Wembley will remain the home of English football as well as the governing body, although Khan would be able to sell sponsorship rights to the stadium. The current deal agreed by the FA with EE expires in 2020. And matches like the FA Cup final, the English Football League play-off finals and Rugby League's Challenge Cup final would remain at Wembley. But England's autumn internationals will have to move away from Wembley if Khan is successful in moving his £1bn NFL franchise to London. 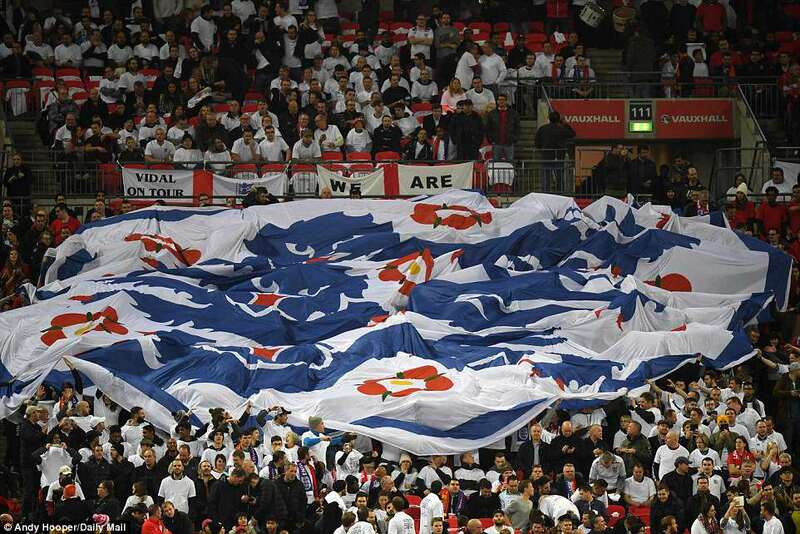 The FA believe England fans would welcome more internationals being played in other parts of the country, with one of England's games ahead of this summer's World Cup being held at Elland Road. 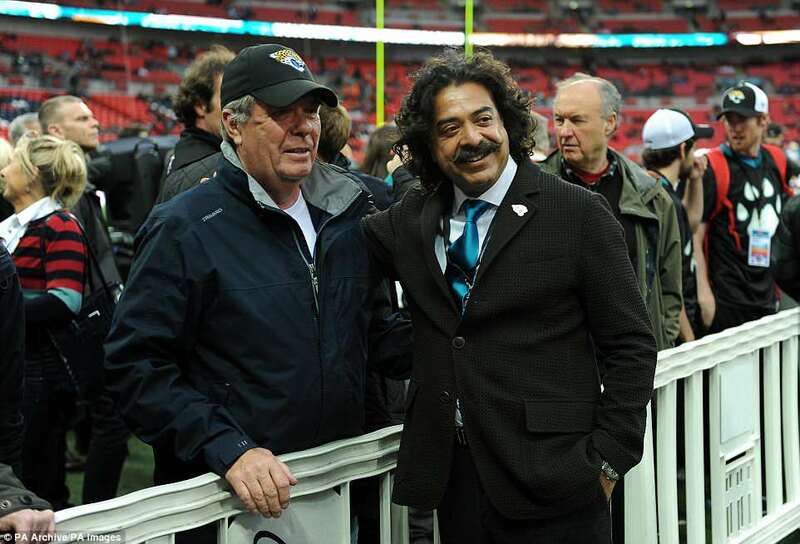 Khan already has an agreement in place to stage one Jacksonville Jaguars game at Wembley every season but he is clearly pursuing the deal to buy Wembley with NFL expansion here in the UK very much in mind. 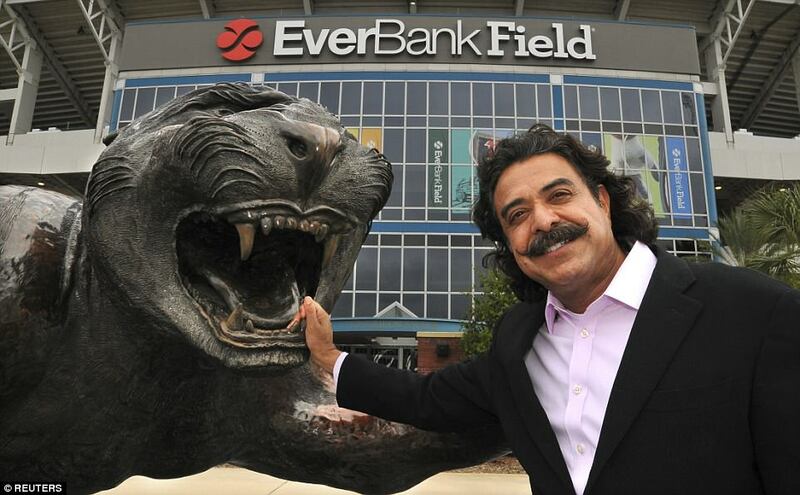 The NFL today welcomed the move, with Vice President Mark Waller saying: 'We are very happy for Shad Khan and the Jacksonville Jaguars. 'The potential purchase of Wembley Stadium is a further powerful sign of their commitment to the UK and their vision to help us grow the sport. Quite how that impacts on Chelsea, who have considered playing at Wembley for four years while Stamford Bridge is being redeveloped, and Tottenham, who have NFL games as a key part of their business plan for their new stadium, is also unclear at this stage. Spurs have designed their new ground to incorporate a separate American football pitch and have NFL branding at the new site, having agreed with the NFL to stage two games each year between 2018 and 2027. Fulham fans may be concerned by the prospect of leaving their historic ground Craven Cottage, however club sources suggested the club would not move to Wembley. The FA are no doubt bracing themselves for criticism but they will argue that they are fairly unique among national governing bodies in owning their own stadium. Germany, for instance, do not own their own stadium. Further to that, FA bosses would point out that it was only in 1999 that they even came to own Wembley. It was then that the FA clinched a £103m deal to purchase the crumbling Twin Towers from Wembley PLC. 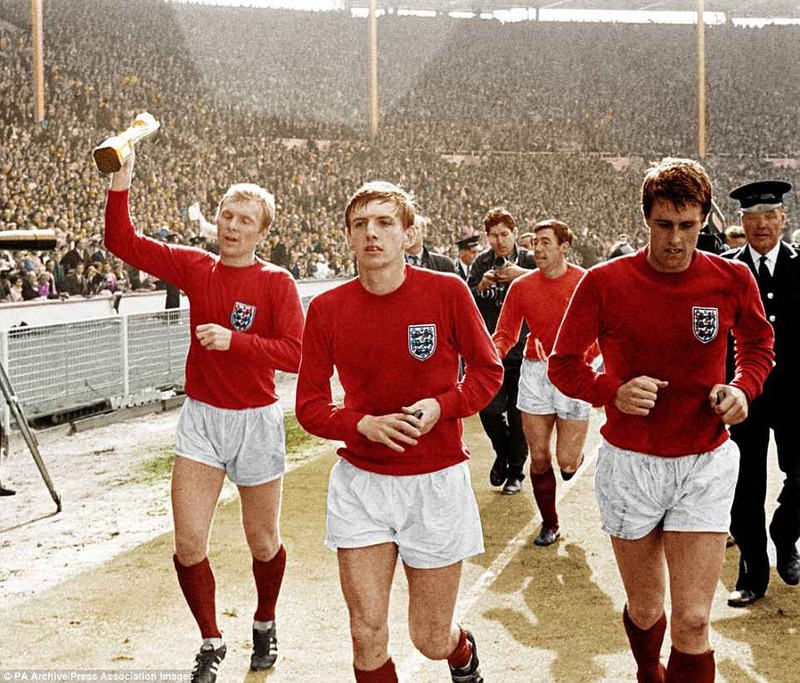 Indeed at the 1966 World Cup a game in England's group between France and Uruguay had to be moved to the White City Stadium because Wembley PLC wanted to stage a greyhound racing event. Sportsmail understands that FA chief executive Martin Glenn and the hierarchy had already considered selling the stadium as part of the governing body's long-term strategy when Khan floated the idea of buying the stadium. They will argue it enables them to cash in on their biggest asset while retaining Club Wembley, which is their biggest income stream after their television and sponsorship deals. And they will continue to profit from ticket revenue for England matches and other FA events, simply paying the new owner for use of the stadium. Khan has no intention of moving Fulham to Wembley. But he is no stranger to such big money deals, having paid around £550m for the Jacksonville Jaguars in 2015. 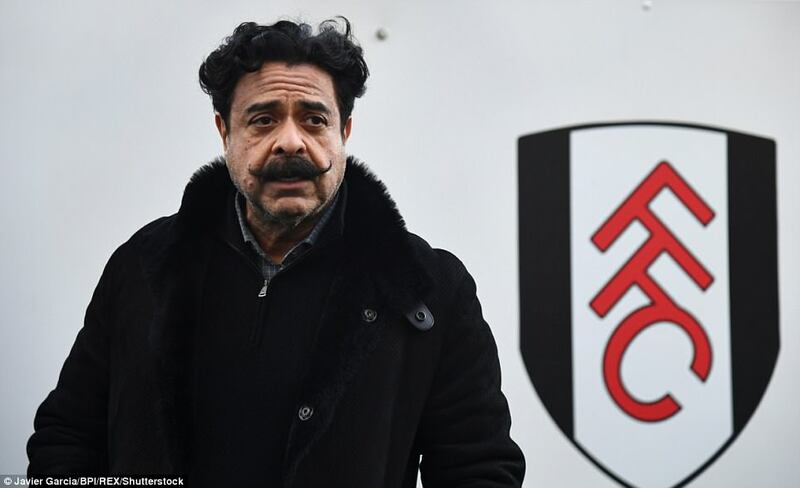 Shahid Khan is now recognised as the man with an interest in buying the home of English football and it is perhaps typical of the 67-year-old who has enjoyed a rapid rise throughout his life on the way to becoming a highly successful businessman and, of course, a billionaire. To Fulham fans especially he is already a well-known name in the game. Khan has owned the Cottagers since 2013 and the Championship outfit are not his only sporting interests. 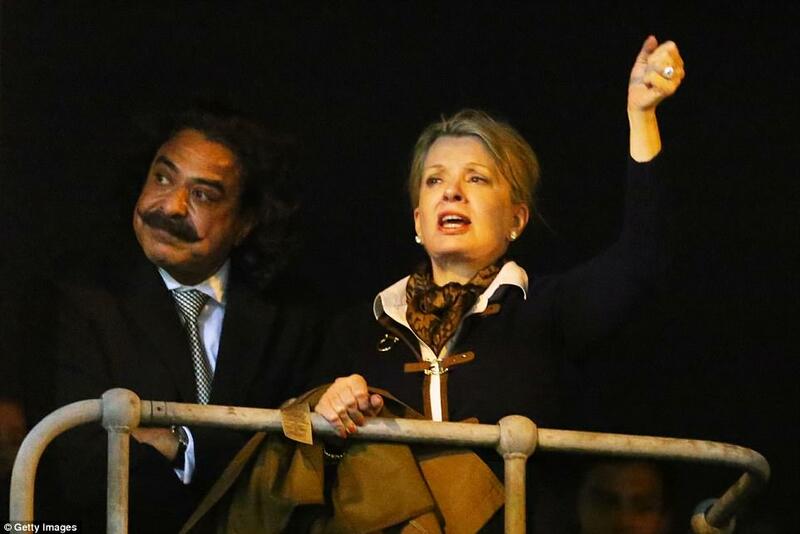 NFL side Jacksonville Jaguars are also under Khan's ownership but it has not come easy having arrived in the United States from Pakistan as a teenager with just a few hundred dollars to his name.